This map is a Guildhall scripting project, where the player controls a crane and must kill some metrocops and free some rebels. The crane allows you to pick and drop exploding barrels, and accurately position the drop via a mini screen on the crane control deck. 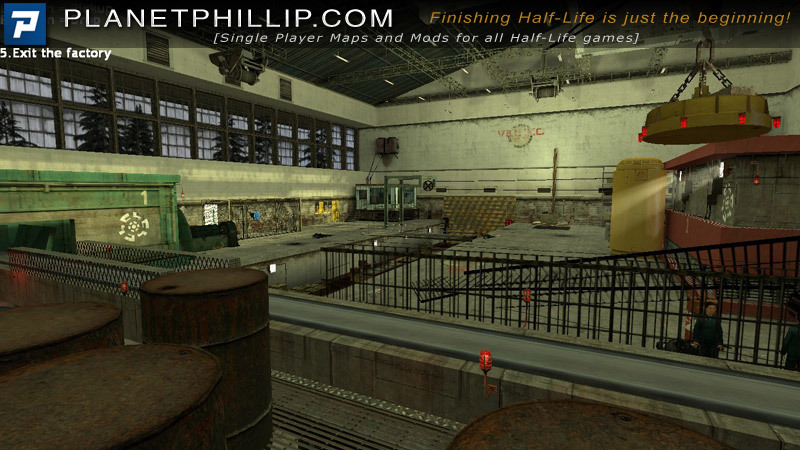 Copy MCCALL_CrateFactory.bsp into your Half-Life 2: Episode Two Maps folder. Open the console and type map MCCALL_CrateFactory. Allow me to explain my Maybe recommendation. This map doesn’t include any “normal” gameplay or action. It’s more of a simple level to introduce a new gameplay mechanic and as such shouldn’t really be seen as the focus of such a small level. As party of something larger it would be very interesting, but as a level it’s only really for those interested parties. The mechanic works well and the mini screen is very useful. The little touches of the rebel coming to drop the control deck after you let him out is nice. It’s a little easy to kill the rebels if you are not careful, but I suppose that’s half the fun. It would have been fun if the rebels collected weapons from the dead Metrocops after you freed them and as you were escaping a bunch of Combine smashed through the roof, just to spice things up a bit, but it’s all good. All in all, a nice little map with not enough action to please most players, but as mentioned earlier, it was never designed for that. Don’t drop what you’re doing. A lot of these Guildhall maps come up with neat little ideas that I either thought of also, or would like to use. Are these ideas owned by the Guildhall? Or can I just ask the creator if I can borrow and build on his ideas? I think I have heard of other gameplay features being used from Guildhall maps, just give the email author a shout and see what he says. I think you might especially like the Crossbow platfomer mechanic. A curious diversion for 4 to 5 minutes. The little video screen was good as was the ability to move the angle of the magnet (move your mouse back and forth). Moving the magnet angle did not seem to achieve a purpose. I thought this particular mechanic was better done in “Rat’s Nest” but with containers. I, also remember, with satisfaction, wiping Combine out with containers using the crane in Highway 17 (or the start of Sandtraps – I can’t remember where the chapter changes). No combat, no puzzles, no story but the curious will like it. 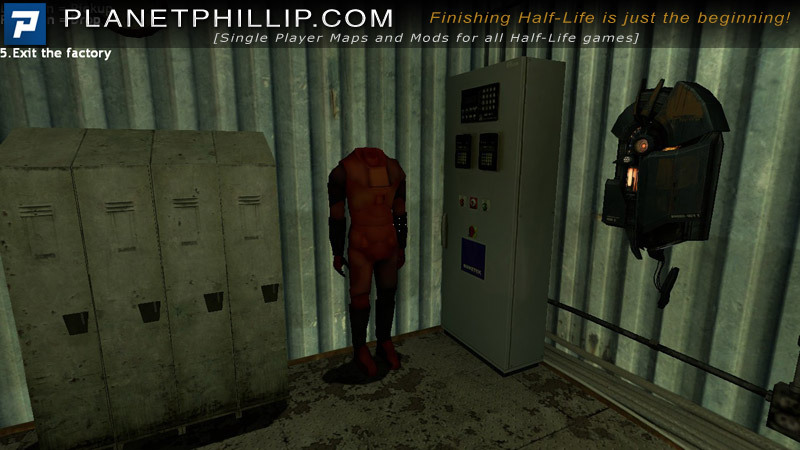 A few moments of quietitude and calm from my love of HL2 warfare. If it’s done right, it could have high replayability and multiple variations. 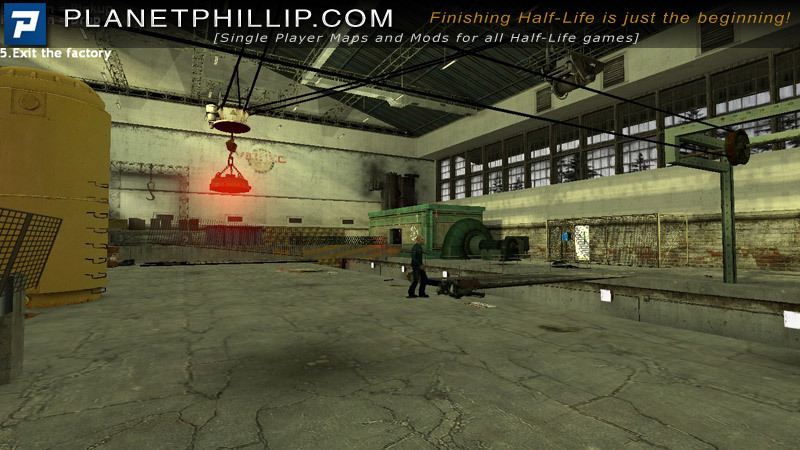 Firstly, thank you all and thank Phillip for this wonderful site and community. I’m Toby McCall the author of this map. 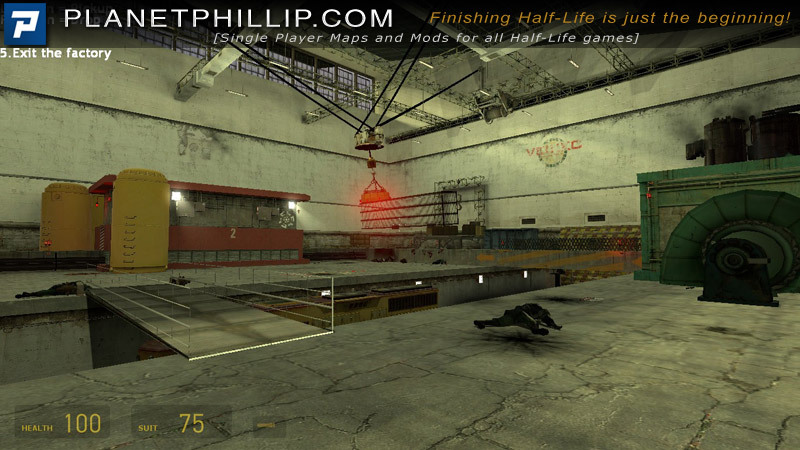 A little backstory about this map, it was an assignment to explore some “out of the box” scripting in HL2. For many of us, including myself, this was our first time working with hammer. Actual worktime for this project was about 4 weeks and that was along with work from other classes also. I originally wanted to pickup combine troops and civilians, but couldn’t find a way to override their tendency to fall/stick to the ground. 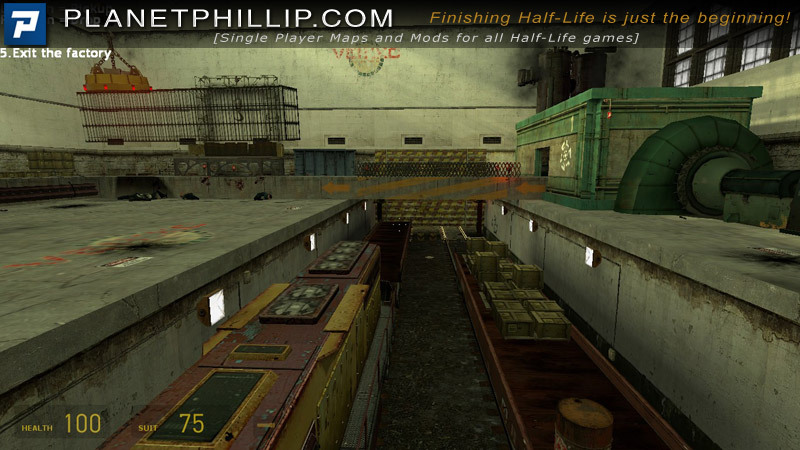 Picking up barrels and crates was a work around to get the map completed by the deadlines. My main focus was to do the scripting and to create a believable space. I also wanted to experiment with lighting as seen by the light streaming in from the topmost windows. I’m probably more of an artistic LD rather than a heavy scripter, but I’m pretty satisfied what what I was able to get done in a few weeks. Keep your eye out for more maps from the Guildhall. Our group really did some fun stuff. We had a demolition derby map, 2 portal styled magnet based mechanics and a nice time warp map just to name a few. I’m not sure why the UI control didn’t lock your mouse XY. You shouldn’t be able to move the magnet’s angle. I’ll have to look at that. Since its a global setting, it was tricky to lock that down, yet set it back so it didn’t affect all maps. So far, the Guildhall focuses on single player FPS levels. 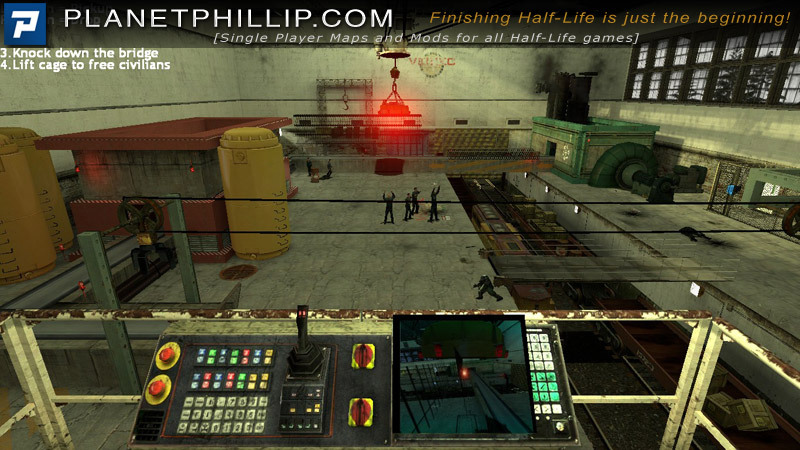 We’ve only made one multiplayer map and that was in UT3. It would be fun to make on in Hammer. While not a “traditional” map this map does do some impressive things going on. 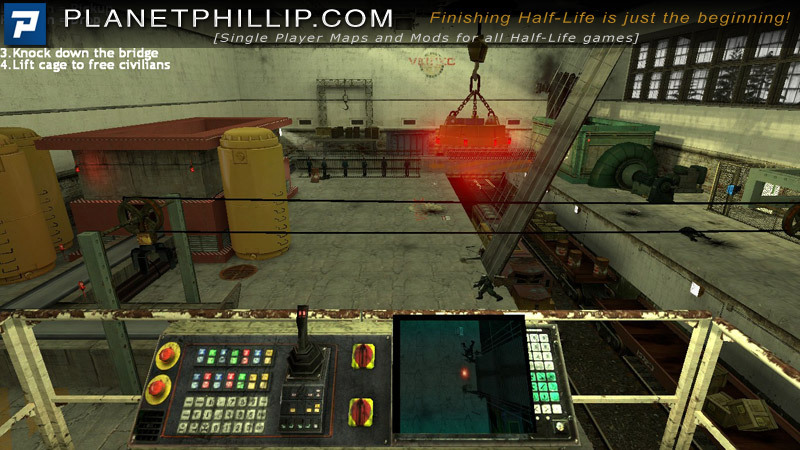 If you’re looking for escapism from normal Half-Life 2 I think this mechanic could be greatly elaborated on. Constructing a brand new crane mechanic from scripting alone was very cool. Ideally I’d love to see the player use it on a city-wide scale, some massive free-floating crane that could pick up destructible prop buildings… would be epic! This map doesn’t work for me. I can activate the crane once, pick up a barrel and drop it. The first time I did it a second time, the barrel missed the CP and afterwards it would not pick up anything. The second time I did it a second time, the barrel it picked up was invisible, but it dropped on the other side of the factory than shown; after that, it wouldn’t pick up anything again. At least I could detach myself from the crane this time, unlike in Rat’s Nest. Unfortunately, it also locked my mouse (in-game) so that when I loaded other maps, my mouse could only move vertically–I could not look left or right. Right now I’m working on figuring out which file I need to delete, in the hopes that I don’t need to do a full reinstall of Ep2. Deleting ep2\cfg\config.cfg seemed to fix it. The only bugs I found, besides the angle change, was that I could see outside the map behind me if I took the crane next to the wall and the fact that I couldn’t pick up barrels unless from the stash. But tbh it was really boring, the repeated mechanical sounds and no fighting, not being able to move most of the time. Maybe add music bits, specially when mission is over and/or rebels shouting once they’re free. It’s got potential but like others said, in a bigger picture. For a standalone, you can play it later.